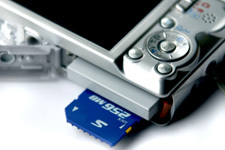 Not to worry - Digital Camera Basics section is here to help ! The past decade can be characterised with the triumph of the digital cameras over traditional film cameras. Since digital cameras are less expensive to make, models tend to proliferate at a much faster pace than traditional 35mm cameras. Nowadays the rate of addition of new features to camera models has slowed down but to differentiate themselves each camera maker is known to implement specific kinds of features. To confuse matter even further, camera companies come up with their own names for the common camera features to make them sound unique and tend to combine them in different ways. What this means to you and me is that it has gotten harder and harder to rationally choose the camera you want to buy. If you cut through all the descriptions and specifications though, you will find that most digital cameras share many of the same basic fundamentals and common features discussed in this section. We will not discuss specific camera models but rather Digital Camera Basics aims to lay a foundation for you in understanding key camera features and accessories, why they are important and how they affect your photographs. What are the advantages of digital vs film photography ? 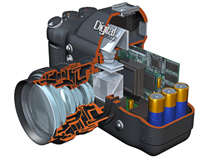 How does a digital camera work ? What is the purpose of image sensor in a digital camera ? What is the importance of image sensors' size ? What is a pixel, how does it relate to image resolution and why do we care ? 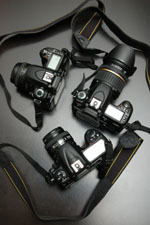 What are the types of digital cameras ? What image format should I choose and how does it affect the image quality ? We hope you will find the information presented in these pages invaluable in understanding the basics of digital camera features. To help you during your equipment purchasing decisions, follow our 10 essential steps in buying a new camera and other equipment guide.